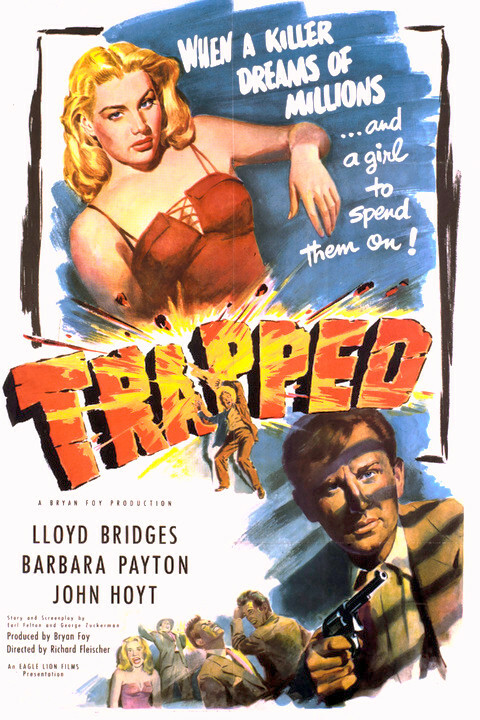 Trapped is a 1949 semidocumentary film noir directed by Richard Fleischer, written by George Zuckerman and Earl Felton. 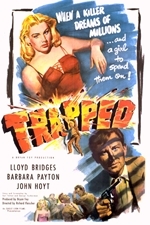 The drama features Lloyd Bridges, Barbara Payton, John Hoyt, and others. Like many semi-documentaries, the film begins with a voice over footage of the treasury department, telling the story what the department does. Then it quickly begins the story once a woman tries to deposit a twenty-dollar bill at the bank that turns out to be phony.